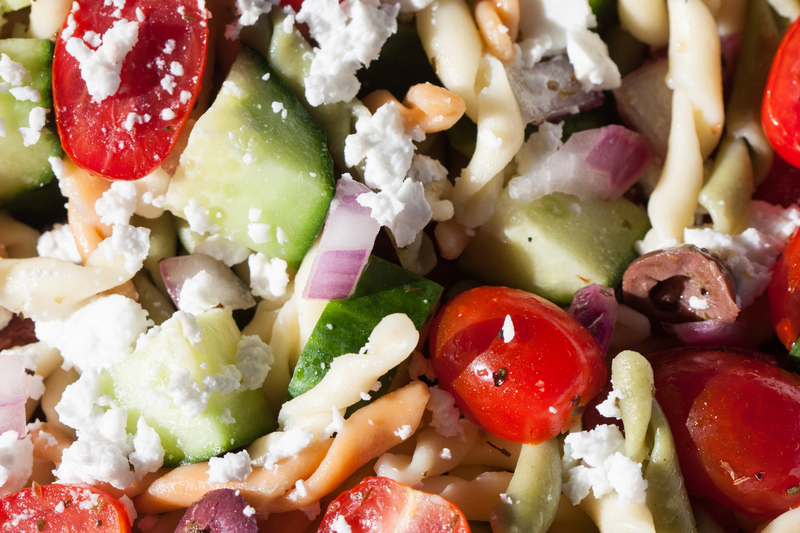 This Lemony Greek Horiatiki Pasta Salad fits the bill for a meal anywhere, anytime., especially picnics. 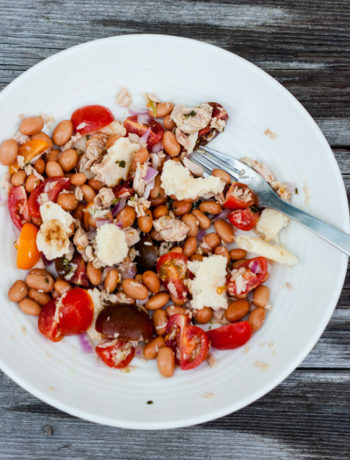 If you have been following my blog, you will know that I love picnic food and this salad is perfect for a picnic at the beach, in a park or on a mountain hike. Of course, it is also a treat as a packed lunch during the week. Chock full of veg, crispy red onion, briny black olives, salty feta, tangy tomatoes and vinaigrette infused pasta, this salad is sure to have your family reaching for more! 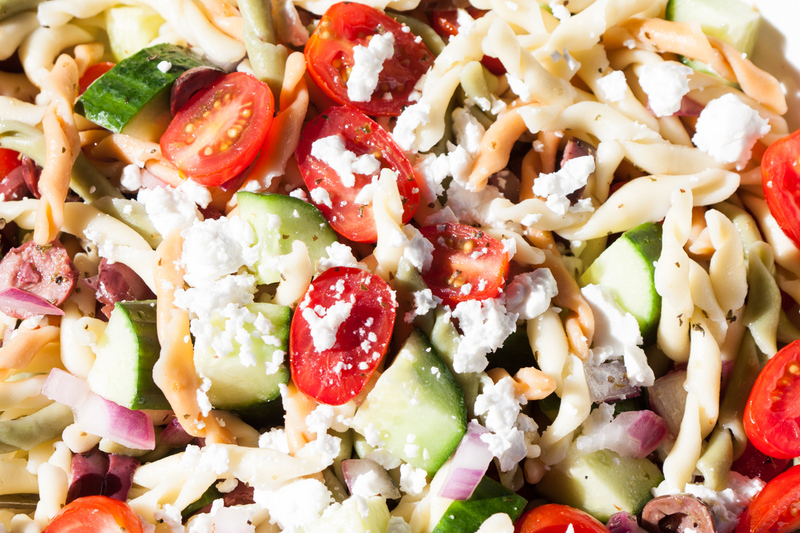 This Lemony Greek Horiatiki Pasta Salad is also perfect as it solves the question: pasta? or salad? So, with this easy to pull-together meal, you get both. My friend, Bonnie, and I visited Greece many years ago during our year long adventure. You can read more about our travels here. I had chosen Greece as the warm place that I wanted to spend my always cold January birthday. I can still recall the briny olives, the creamy, salty feta and the anise scented bread that we ate there at many outdoor cafes. Feta cheese is a very important component of greek food. 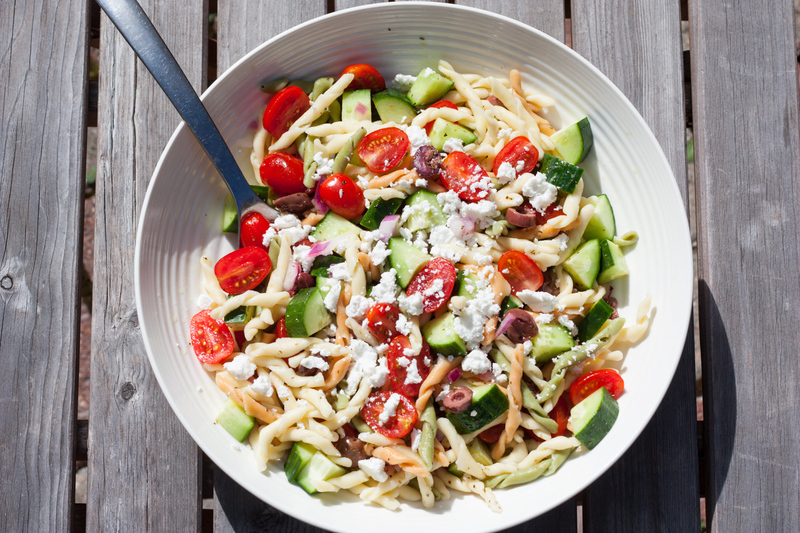 And this Lemony Greek Horiatiki Pasta Salad is loaded with feta. While we were in Greece, we worked at an orange orchard picking oranges to make some money so we could continue travelling. We would walk over to the orange orchards in the morning. We worked alongside local greek women. Everyday they would bring homemade greek bread and big hunks of creamy, salty sheep’s milk feta cheese for lunch, as well as bottles of red wine. Heavenly! And so kind! There are many different types of feta cheese available in Canada and other countries around the world. It’s very difficult to get true greek feta cheese outside of Greece as they just don’t produce enough. Head over here, if you would like to read up on the various types and what makes them different. I’ve included a really handy tip in this recipe for people like myself who enjoy onions, but just wish they were a little milder. If you soak diced red onions for ten minutes in boiling water, it removes the strong, bitter onion flavour, but maintains the crunch and the sweeter milder flavour of onions. I love this technique. 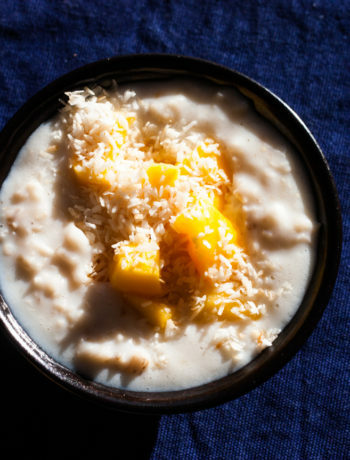 This is a trick I learned from Emiko Davies in her cookbook Florence, by Emik0 Davies. This salad really comes together in a snap. While the pasta is cooking, you can slice the tomatoes, cube the cucumbers, crumble the feta and drain the olives. After you have drained the pasta, pour in the lovely veg, drizzle on the vinaigrette and lunch is ready! You can eat this salad slightly warm or at room temperature. As pasta is cooking, cube the cucumbers, drain the black olives, slice the cherry tomatoes. Soak the red onion in boiling water for 10 minutes. This maintains the crunch of the red onion, but removes the strong onion flavour. Omit if you prefer a strong onion taste. This recipe will serve about 4 people. 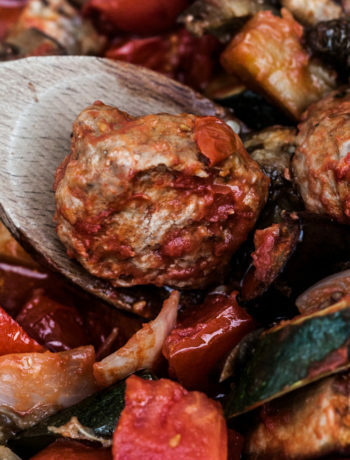 If you have some big eaters or soccer players in your family, or really like having leftovers for lunches, please double this recipe.